For an insight into various inflammations of laryngeal structure, investigate this sqadia.com medical lecture. 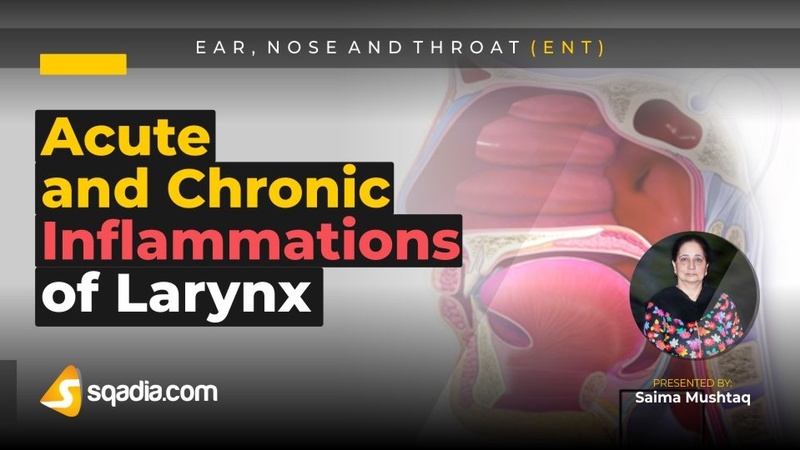 It discusses all the acute and chronic inflammations of larynx. Primarily, acute laryngitis, epiglottitis and membranous laryngitis has been elucidated. Additionally, laryngeal diphtheria and oedema has been shed light upon. Furthermore, chronic laryngitis types and Reinke’s oedema and pachydermia Laryngis has been brought under discussion. 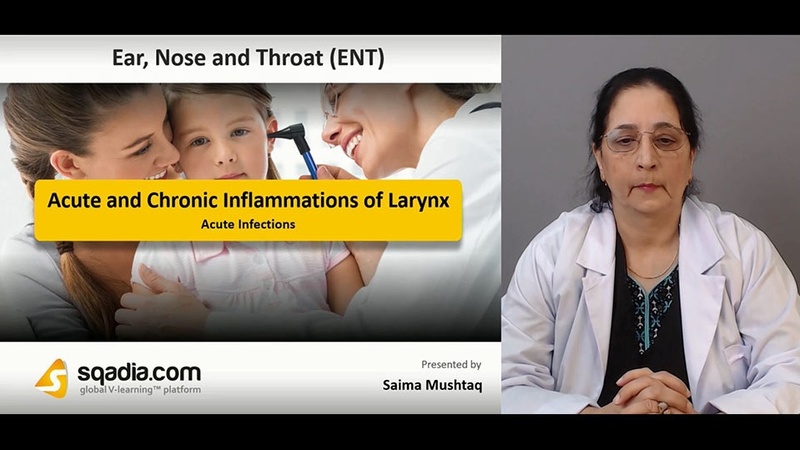 Moreover, tuberculosis, scleroma, leprosy and syphilis of larynx along with laryngeal mycosis has been presented. In the beginning, acute laryngitis has been conversed about. its aetiology and clinical features have been discussed. Moreover, steroids and analgesics have been explained under the heading of treatment. Additionally, acute membranous laryngitis and acute epiglottitis along with acute laryngo-tracheo-bronchitis has been shed light upon. Their features, pathology and aetiology has been distinctly elaborated. Initially, laryngeal diphtheria has been explicated. Its aetiology, diagnosis and treatment strategies have been brought under consideration. In addition to this, certain complications have been highlighted. Following this, oedema of larynx has been delineated. All aspects from aetiology, signs and symptoms to its treatment have been shed light upon. Primarily, chronic laryngitis without hyperplasia has been explicated. Moreover, its clinical presentation and treatment options have been presented. Additionally, chronic hypertrophic laryngitis and its pathology has been elaborated. Subsequently, its clinical features and examination has been considered. Firstly, Reinke’s oedema has been mentioned. Following this, pachydermia Laryngis has been discussed. Furthermore, atrophic laryngitis has been explained. Clinical features of all these ailments along with various treatment options has been reported. Amongst, other inflammatory conditions, tuberculosis, lupus and syphilis of larynx has been comprehensively elucidated. Moreover, leprosy of larynx along with scleroma of larynx and laryngeal mycosis has been brought under consideration.